Josiah Freese, a senior Wildlife and Fisheries student at Frostburg State University, is a winner of the 2018 Rocky Mountain Elk Foundation’s Wildlife Leadership Award. The program awards a $3,000 scholarship to college juniors and seniors chosen for their leadership ability, dedication to wildlife conservation and scholastic achievements. Freese, of Mount Airy, Md., is one of only 12 students nationwide to receive the award, including a one-year membership to RMEF. 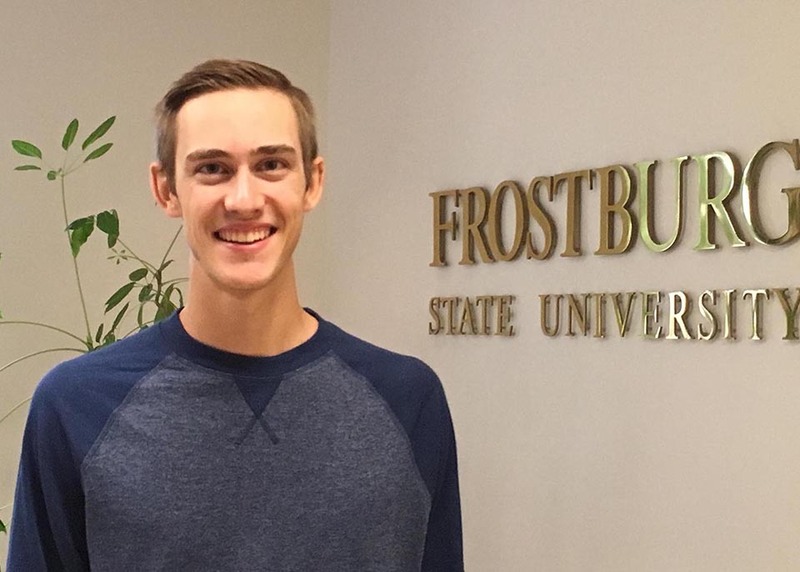 “Not only is this scholarship a huge help to me financially for my senior year, but it’s also a real honor to be recognized as one of the few students nationwide to receive this award,” Freese said. Founded in 1984, the Rocky Mountain Elk Foundation is a nonprofit organization whose mission is to ensure the future of elk, other wildlife, their habitat and the hunting heritage. The Wildlife Leadership Award was established to recognize, encourage and promote leadership among future wildlife management professionals.